Istria is by far the largest peninsula on the eastern side of the Adriatic. Settled in the past by Italians, Slovenes and Croatians, some 90% of this territory today lies in Croatia, while its most northwesterly districts make up Slovenia's littoral. To the west, across the Adriatic, is Italy; to the east, across the Gulf of Kvarner, lies mainland Croatia, while to the south are the hundreds of island jewels that lie adjacent the Dalmatian coast. 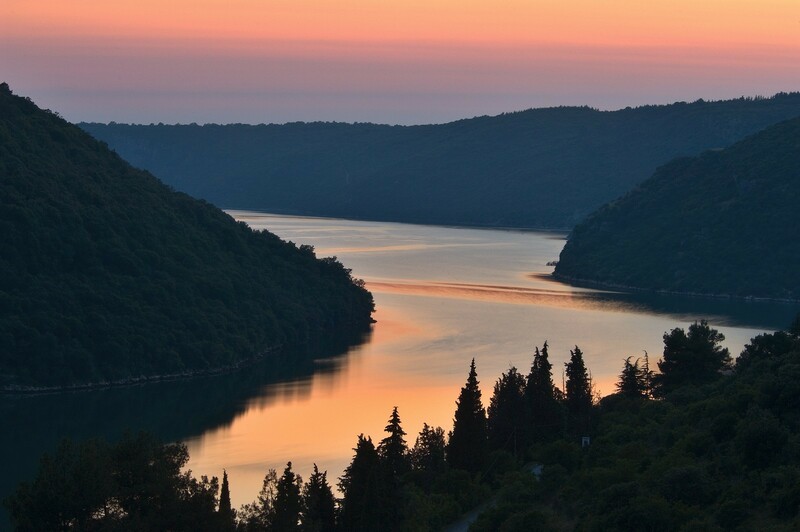 Istria's western seaboard is the most populated and developed portion of this territory. In addition to extensive vineyards producing renowned Istrian wines, a lot of effort is being invested into the revitalisation of olive groves. Fishing, too, has a long tradition and an important economic role. The waters of western Istria yield the highest catch of 'blue fish' (sardine, mackeral, tuna etc.) in the eastern Adriatic. In addition to its vibrant economy, Istria is in itself Croatia's leading and the most developed tourist region. Indeed, tourism is the leading economic factor here, with industry and agriculture being of lesser importance. Its warm Mediterranean climate, old towns, beautiful and varied coastline, as well as the ease with which its Northern and Central European guests may access their holiday destinations, ensure Istria's advantage over those Mediterranean resorts which lie further to the south. Istria was first inhabited some 5000 years ago, then came the Greeks and after them the Romans. In the 7th Century waves of Slavic migrants pushed the Romanised population back to their coastal and island strategic strongholds. 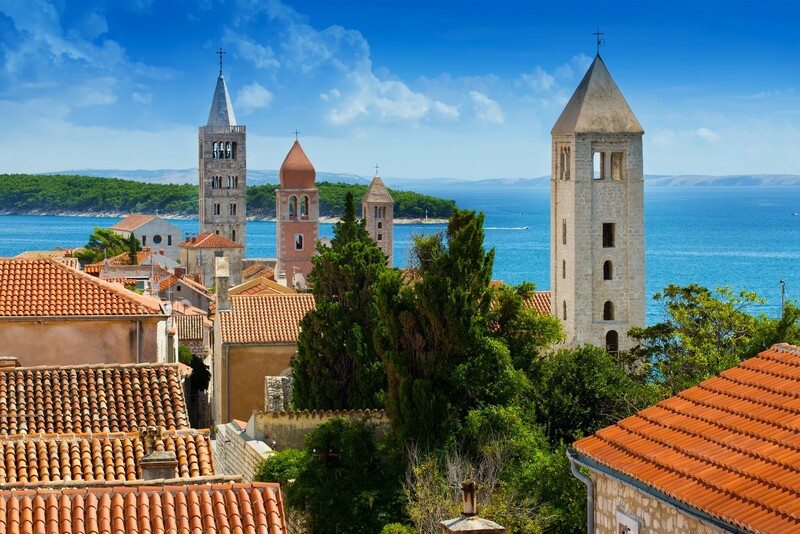 Indeed it was these vestiges of antiquity which gave rise to Istria's picturesque Venetian towns (such as Novigrad, Rovinj, Pula and Labin) that are today so popular with the tourist. Testimony to the erstwhile frontier nature of the Istrian interior, there are a number of fortified towns and villages (such as Groznjan, Motovun and Beram) which developed from former feudal strongholds. These settlements are of exceptional interest on the account of their location, unspoiled medieval form and good state of preservation. Over the last 40 years, the construction of hotel complexes and tourist resorts, campsites and recreational facilities have turned coastal Istria into a tourist area of the highest intensity. 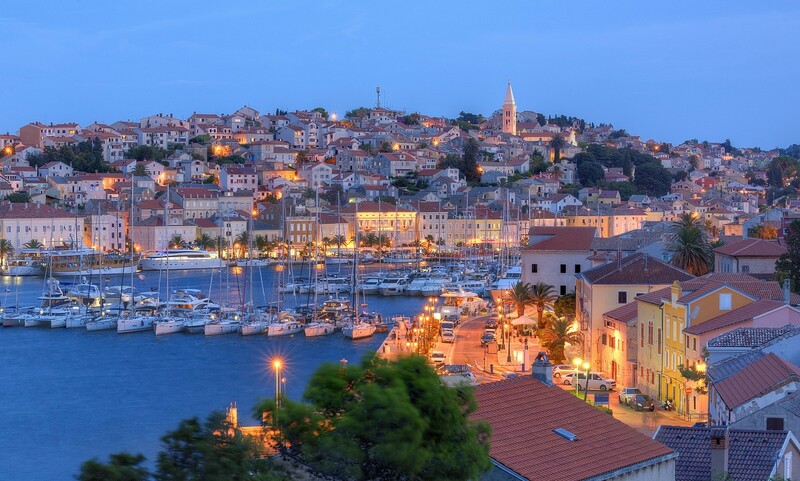 The western coast of Istria is particularly developed (Umag, Novigrad, Porec, Vrsar, Rovinj, Pula and Medulin being the main tourist centres) It is also very indented, particularly between Porec and Rovinj. The eastern coast is more wild and barren due to the frequency of the harsh bora and jugo winds; Rabac is the only tourist centre of any size. Tourist facilities in Istria encompass swimming, sailing and yachting, naturism, farm tourism, spa resorts and sports of every conceivable type; indeed there are several hundred tennis courts alone which welcome professionals and amateurs alike. 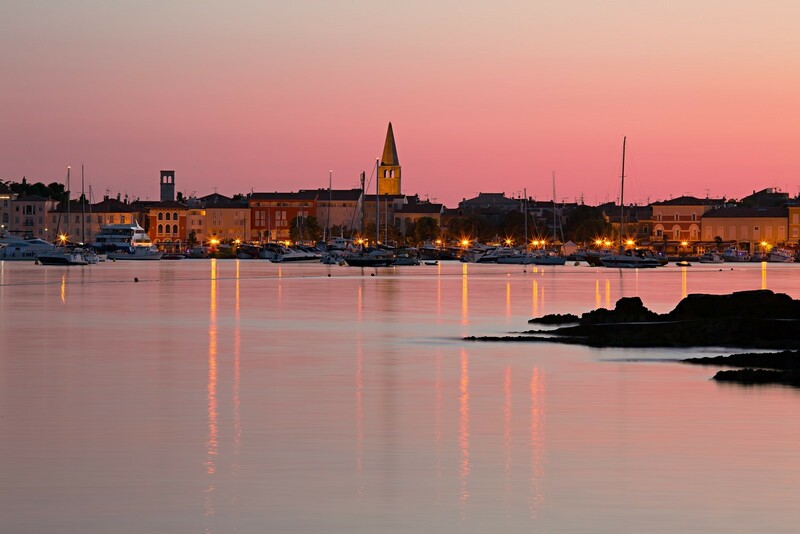 The bustling port of Pula, at the southern end of the peninsula, is Istria's main town and commercial centre. 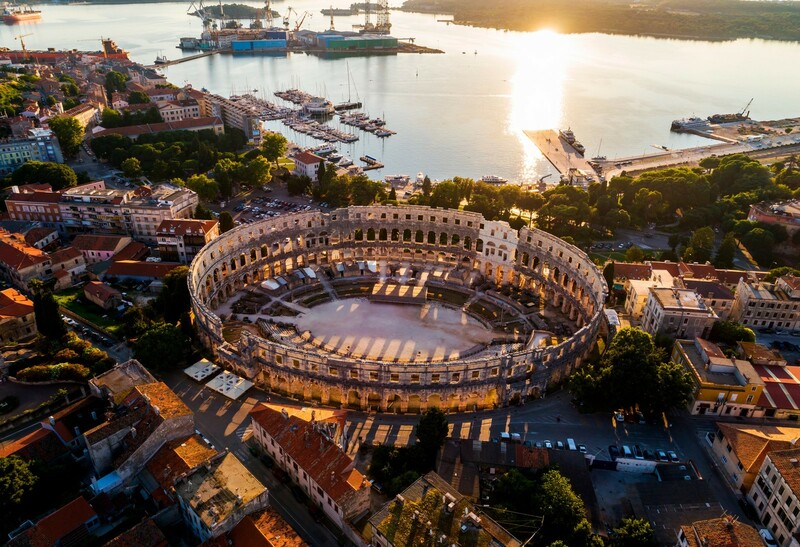 Established by the Greeks and further developed by the Romans, Pula boasts several surviving buildings of Roman origin, including a large amphitheatre. In summer, Istria's ports are full of vessels of all types. However, safe anchorage is possible in numerous marinas as well as countless sheltered bays and inlets. In the past, the name Kvarner was solely applied the sea area to the east of the Istrian peninsula, while in more recent times it has also come to denote the islands, coastal belt as well as part of mainland Croatia beyond. For the purposes of this Atlas, Kvarner encompasses the coastal region from the Opatija Riviera in the northwest to the southern end of the Velebit Channel. Thus, in addition to the sea and islands, it also encompasses the expansive urban area of greater Rijeka, the Crikvenica-Vinodolski Riviera, together with the lush forests of the Gorski Kotar range, and the rocky peaks of the Velebit and velebitsko Podgorje coastal chains. Able to offer a combination of maritime, seaside, mountain and leisure activities, Kvarner is one of the most popular tourist areas in Croatia. 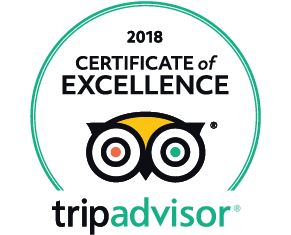 Resorts such as Opatija, Lovran, Crikvenica, Kraljevica and Novi Vinodolski, together with the islands of Krk, Rab, Cres and Losinj all have more than a century of tourist tradition behind them. In addition to swimming, sunbathing, spa treatments and basic recreational activities, there are a whole host of possibilities for boating and yachting excursions, as well as land and water sports. The Plitvice Lakes - with a sequence of 16 lakes connected by cascades and waterfalls (UNESCO world heritage list); as well as Paklenica - an impressive gorge with a number of formations typical of karstlands. The seas and islands of Kvarner are a popular destination with yachtsmen. A number of small local ports on the mainland are usually occupied with local vessels, while for all its facilities and dockyards, Croatia's second city, the port of Rijeka, has hardly any place for small vessels. The northeastern shores of the islands of Rab and Pag, as well as those of the southern half of the island of Krk, are wild, barren, uncultivated and exposed to the worst excesses of the cold northeasterly wind known as the bora. The shores on the opposite sides of these islands represent a real contrast, with forests stretching all the way down to the sea. Well sheltered from winds, the numerous bays and inlets of these islands offer suitable anchorages for small craft. 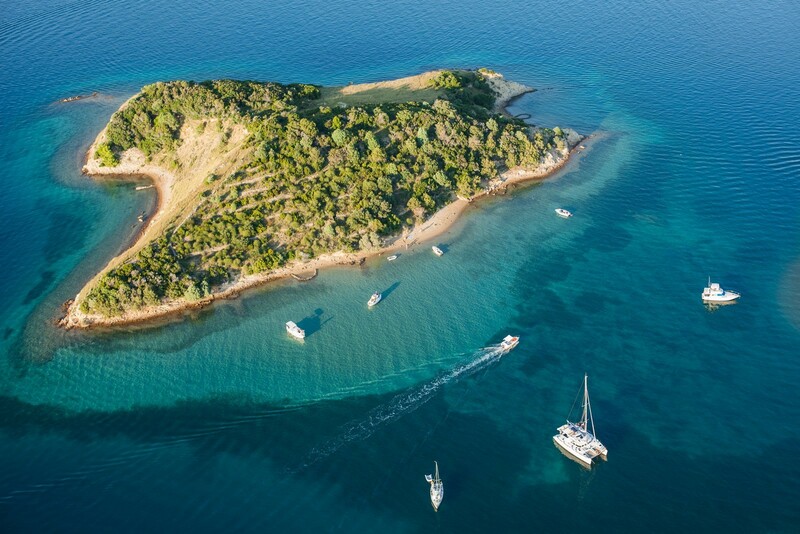 Yachtsmen most appreciate the waters in the straits east of the islands of Cres (historc town of Cres as well as Osor) and Losinj (M. Losinj - fine natural harbour and marina); hereabouts favorable winds of moderate strength are always in abundance. The island of Krk boasts a number of tourist centres (Baska and Omisalj), as well as some picuresque old towns (such as the ports of Krk and Vrbnik); there is also Punat which has one of the largest marinas in the Adriatic. The Kvarner area encompasses the islands of Rab (old port of Rab and Lopar) and Pag (harbour facilities at Novalja and Pag).